'Another gorgeous sunset taken in Paraparaumu at 18:47 on 14 August 2010. 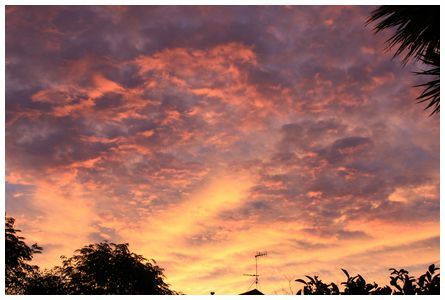 Canon EOS 500D, landscape mode' wrote Bob. 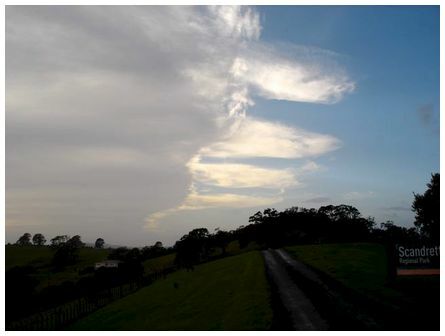 'Arriving at work is always spectacular with the Hauraki Gulf views from the ridge at Scandrett Regional Park near Warkworth, however it often pays to look up as well as down! 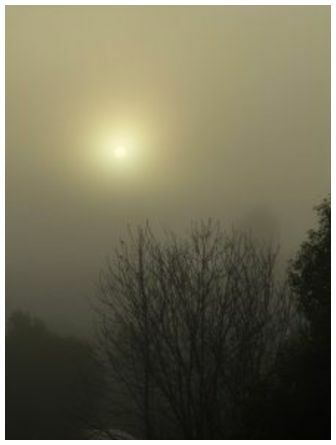 Taken looking due east on a very still morning at 08:00 on 26 August 2010 with a Sony Cyber Shot P100. Great site and always helpful to the ranger team here' wrote David. 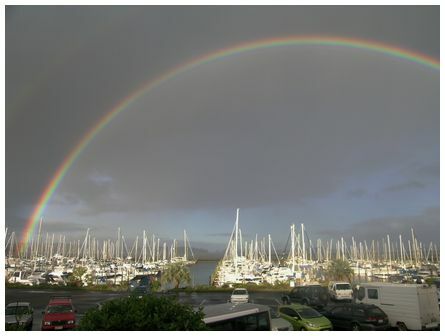 'Rainbow over Westpak Marina Auckland at 1615 on 28 July 2010. Facing SE from Westpark Marina from my office' wrote Neil. 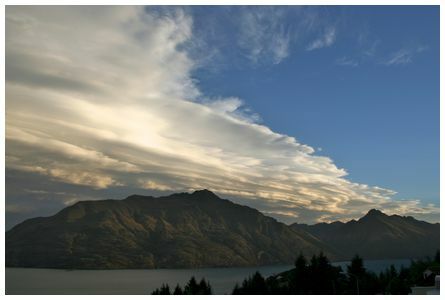 'With our house near Invercargill, looking out over the Oreti River to Sandy Point and Stewart Island, we often see crepuscular rays and very occasionally anti-crepuscular rays at sunset. 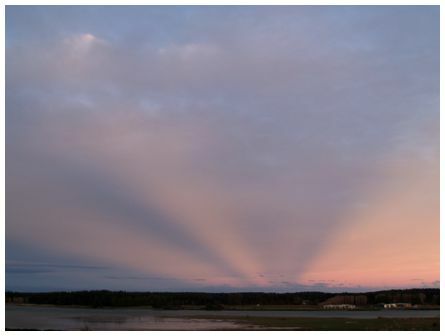 This is the first time I have seen anti-crepuscular rays at dawn. Taken with Olympus E 300 at 0740 on 26 August 2010' wrote Joe. 'I never met a halo I didn't like. 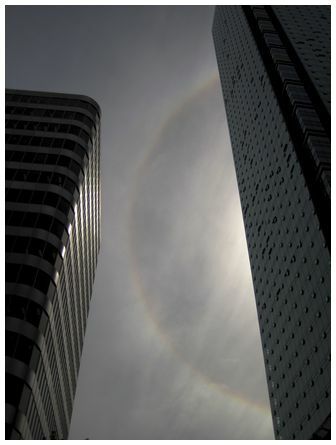 While walking through down town Vancouver on 29 June 2010 this halo was peaking through the buildings. It was a lovely warm 20°C day with little wind. Shot with my Canon D10' wrote Jodi.